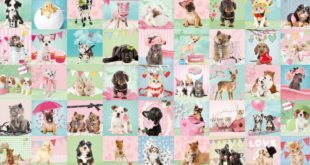 The retailers has signed a deal to develop a range of Studio Pets by Myrna gifting, scheduled to launch in stores and online for Valentine’s Day 2017. The brand will be introduced to firms at this month's London and Nuremburg Toy Fairs. Under the new multi-year agreement, Lisle will now represent Nitro Circus as it looks to develop a full range of consumer products across the key territories for the growing brand. The firm will now manage all merchandising deals and opportunities for the property, the brainchild of fashion photographer, Myrna Huijing. Titles based on hit mobile game on the way later this year. "This format is a hugely popular for kids and lends itself perfectly to the Temple Run creative content." Egmont’s Temple Run offering will span fiction, ebooks, activity books and a magazine. DJ Murphy takes UK rights to create new monthly magazine.